Compact actuators offer a versatile rack-and-pinion design for use on 0.5-3″ (15-80mm) Eccentric Plug Valves. 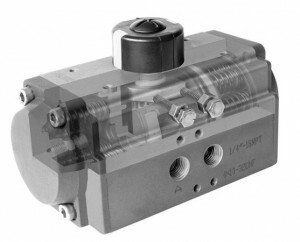 The compact design allows the actuator to be mounted for a low profile assembly. Compact actuators are available in sizes to meet a wide variety of torque requirements.